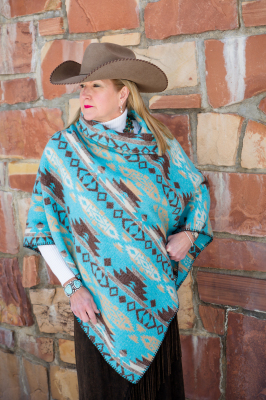 #104DR - DURANGO 40"wide B.S. 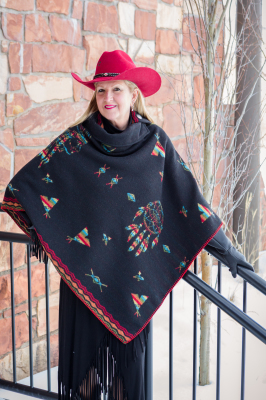 CAPE - SOLD OUT FOR 2019! 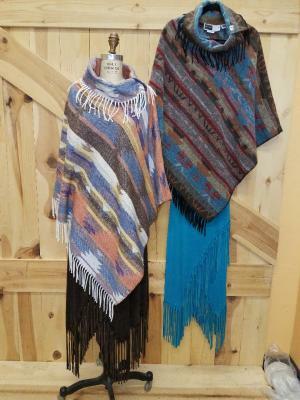 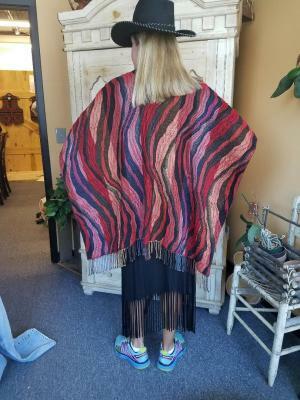 #100S - SERAPE STRIPE ITALIAN CAPES. 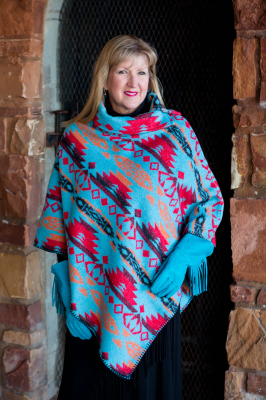 Colors: #02 Turq (navy stitch), Carnival, #03 Pink (turq. 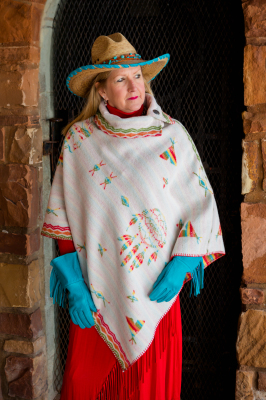 stitch), #04 Pink (Purple stitch) & #05 Jade (brown stitch). 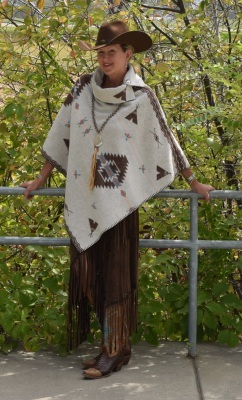 #208AH - ARROWHEAD BUTTON COLLAR PONCHO - SOLD OUT! 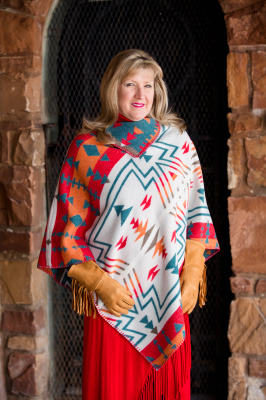 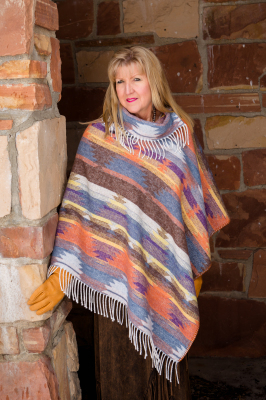 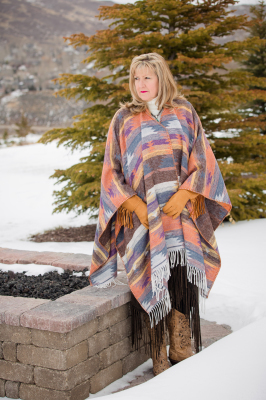 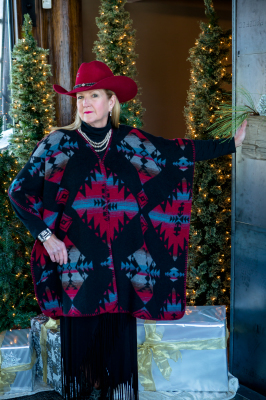 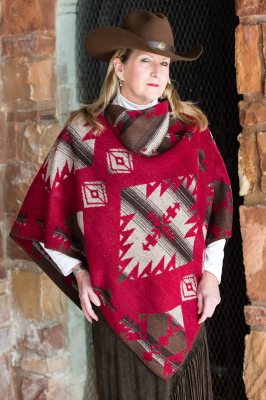 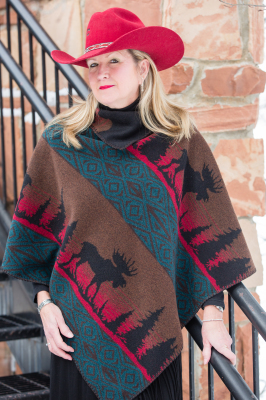 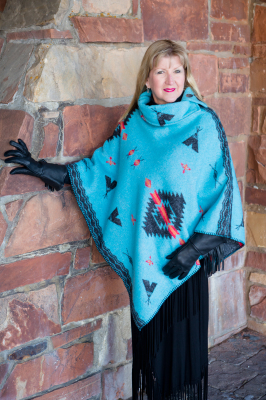 #208DR - DURANGO BUTTON COLLAR PONCHO - SOLD OUT FOR 2019! 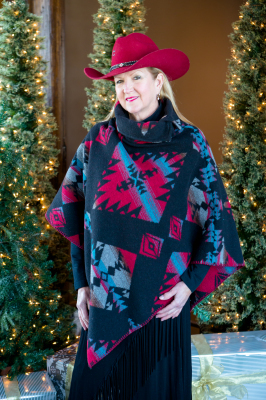 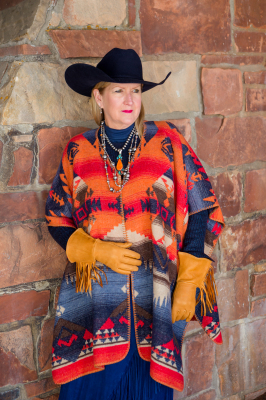 #208GSL - GUNSLINGER BUTTON COLLAR PONCHO - SOLD OUT FOR 2019!